Welcome to the Bigs Page! 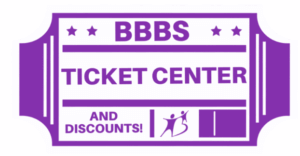 Stop by often to find the latest fun events for you and your Little, to see what tickets are available for matches, and to learn where you can get great deals on awesome activities for Bigs & Littles. As a BBBS Big, you have access to online and in-person trainings from Youth Intervention Programs Association (YIPA). “Helping Youth Make Healthy Choices” and “How You Can Help Youth Manage Anxiety” are two examples of the great trainings offered by YIPA. Be sure to list BBBS as your organization so you can access the trainings for free (we are a member organization).